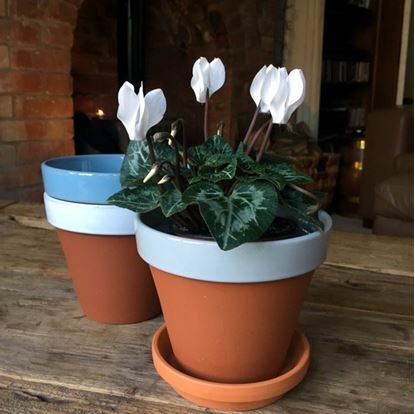 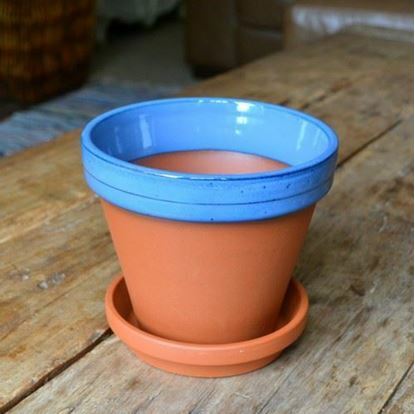 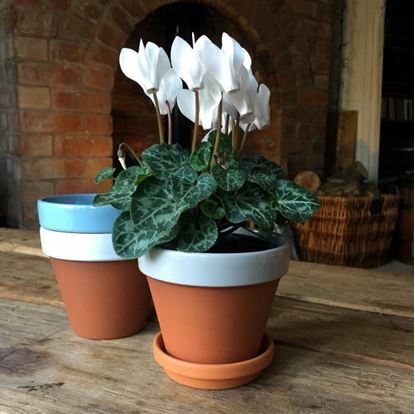 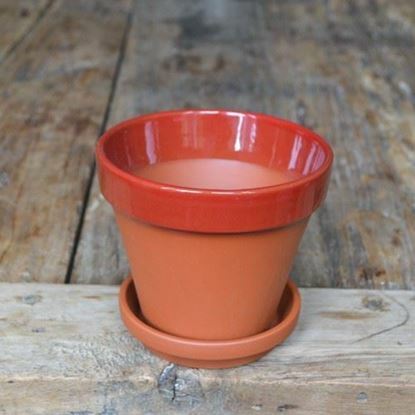 These terracotta flower pots have been transformed for indoor use with glazed rims in a range of colours for use around the home. 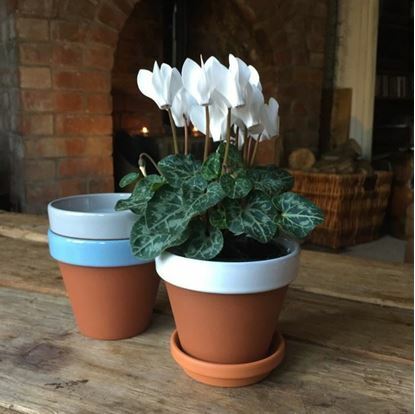 The flower pots are dipped into the glaze & then fired in the kiln creating rustic glaze finishes in varying shades & colours. 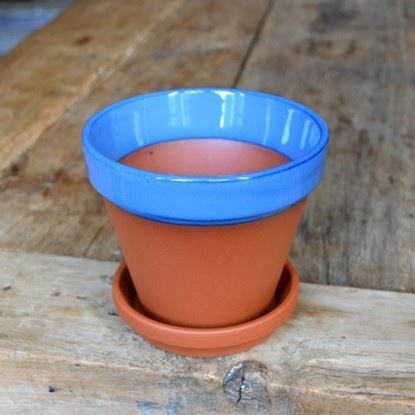 Drainage hole in the base of the terracotta flower pots. 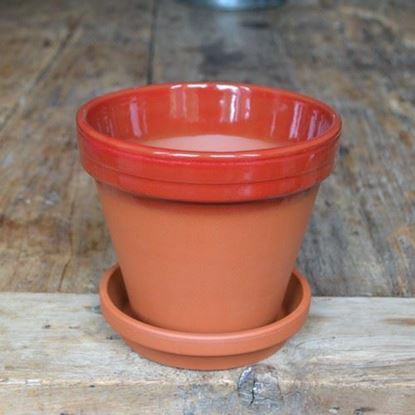 Available with flower pot saucers. 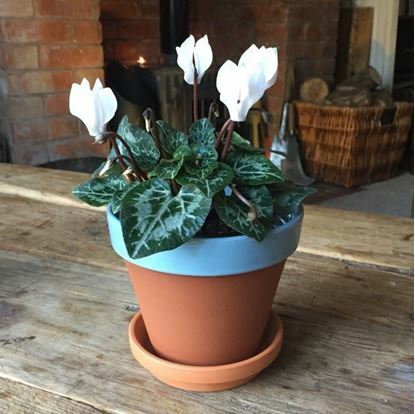 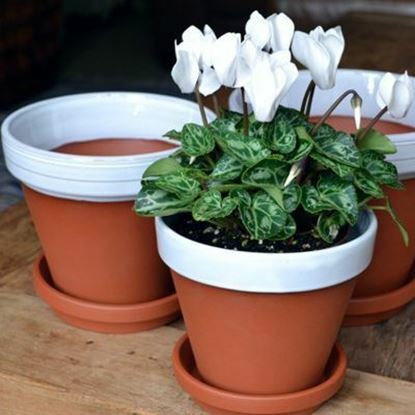 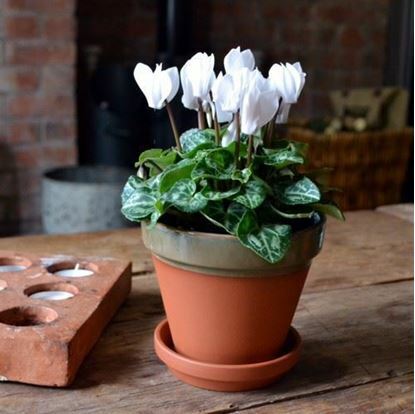 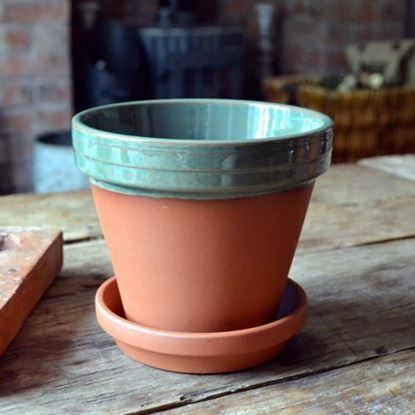 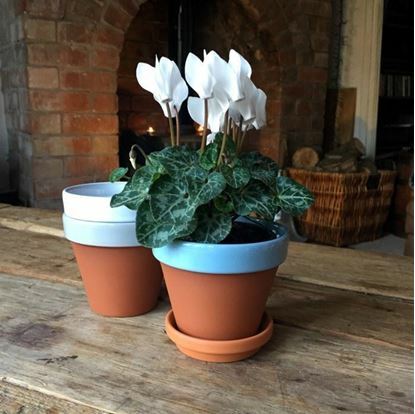 These flower pots are made in Germany & then glazed at our own pottery in Newark.